Launched in 2010, the Performance 6 is the company’s flagship and cost £3,500 when it first appeared. Designed by talented acoustician Graham Foy, the final pre-production version was reputedly tuned by Marantz’s Ken Ishiwata – at that time, the brand was distributed by Marantz outside the UK. There is still a pair in regular use in Ishiwata’s listening room at the Marantz headquarters in Eindhoven, Holland. At the time of its launch, it looked bang up-to-date. Its tapered, curved cabinets (1,150x240x430mm) are beginning to look a bit dated now (speakers always seem to age visually faster than any other hi-fi component), but the form followed function because its shape was conceived to break up standing waves. Instead of the usual veneered MDF, the cabinet is made from what Mordaunt Short call ‘structure foam’, said to be stiff but with excellent internal damping. Different thicknesses and even densities of foam are used, with the most rigid part being down the rear spine. The four drive units are mounted from the rear, with rubber gaskets at the front sealing the drivers and isolating them from the front baffle. The enclosure is light – which means it doesn’t store energy – but this requires the addition of a 10kg cast iron base for stability, bringing total weight up to 33kg. Monitor Audio’s ribbed, aluminium Continuous Profile Cones are used, with diecast aluminium chassis and special magnets and voice coils. Two 165mm bass units are fitted, underneath the 100mm midrange driver with its compact, rare earth, stacked double magnets. The rubber jacketed ATT aluminium domed tweeter has a series of pipes running behind it tuned to a series of different frequencies – said to give a clean and transparent sound, and an even load with respect to frequency. A sensitivity figure of 89db/1w/1m was quoted – good for 2010, if not remarkable. Power handling is 15 to 250W, and frequency response is a claimed 34-30,000Hz. I remember being quite struck by the sound of this speaker, back in 2010. It is very clean, crisp and fast, extremely well integrated and excellent at imaging too. It has a little less bass than its size would suggest, but what there is seamlessly melds into the midband and proves nicely tuneful too. The midband itself is quite transparent and detailed; it gives a ‘warts and all’ presentation rather than a romantic one, so it will tell you if the source you’re using, or indeed the recording itself, is in any way deficient, but if you’ve got these right you’ll love its expansive, widescreen feel and explicit detailing. In this respect, it reminds me of Vivid and Raidho speakers, both of which use metal drive units and are considerably more expensive. Treble, it’s fair to say, is also very revealing. Crisp, well lit and incisive, it’s lovely with good recordings but doesn’t suffer bad ones glady. 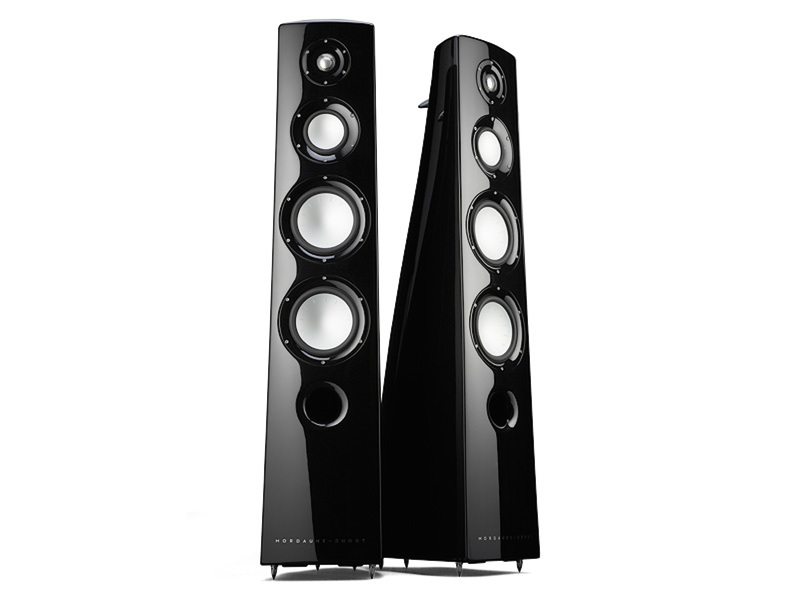 Overall, this loudspeaker is dynamic and musical, with fine imaging and a particularly capacious soundstage that’s more like an electrostatic than a box loudspeaker. It’s a very neutral and revealing product all right, one that demands serious ancillaries. As I remarked at the time of its launch, the major problem for the Mordaunt Short Performance 6 is that its ability exceeds the expectations of the brand. Back in the nineteen seventies it may have had gold-plated British respectability, but the company’s endless series of image and ownership changes since have rather diluted its appeal. Buy for sound quality, not snob value, then!